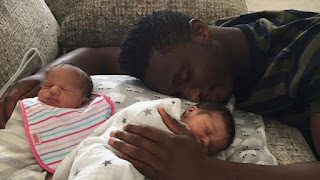 The football star Mikel Obi is now a proud father of twins. His Russian girlfriend, Olga is reportedly the mother of the twins. Mikel is now a father to four children.